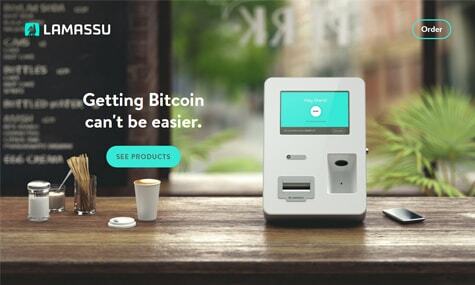 Lamassu is a Bitcoin ATM company launched in 2013, making it one of the first Bitcoin ATM companies out there. With their humble beginnings in Yorkshire, Lamassu has developed over the years to become a formidable presence in the growing Bitcoin ATM industry. With its dependable and well-designed products, Lamassu paves the way for greater Bitcoin integration into the people’s daily lives. Bitcoin ATMs are one of the effective ways to encourage the people to use Bitcoin. Right now, Bitcoin is still limited to the digital world. As a digital currency, this is to be expected, though. The problem, however, is that if Bitcoin intends to become a legitimate and recognized currency, it needs to be adopted by more people. A lot of people use the cryptocurrency already, but most of them have access to the Internet and special services. Unlike fiat currency, there is an infrastructure necessary before bitcoins be spent. Bitcoin ATMs bridge this gap, and Lamassu has accepted that responsibility. Lamassu is one of the leaders of this wave. The company is currently one of the most popular ATM brands available, with its products open to consumers all over the world. There are over 200 Lamassu machines in operation at present and more are coming online as Bitcoin and Lamassu continue their growth. Initially only able to convert cash into bitcoins, these machines can now convert bitcoins directly into the local fiat currency. This makes it very easy for Bitcoin holders to use their money in a non-digital setting, which is great for Bitcoin’s reputation. 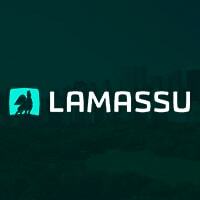 Lamassu is currently offering three products. First is its original compact offering: the Douro. A small machine and easily placed anywhere, this particular ATM was designed to convert cash directly into Bitcoin. People who want to buy bitcoins merely choose the option and insert the money. The device is designed to handle over 600 bank notes and can accept currencies in nearly 200 countries. The small-form factor is a great attraction. However, for those who want something bigger, it is easy enough to order the Braga stand to give the Douro unit the height it needs while also keep it locked in place. For those who prefer to operate a Bitcoin ATM that dispenses money will need to buy the company’s special Santo Tirso floor stands. These stands give the Douro machine’s the ability to dispense over 1,000 bank notes in total, with 3.2 notes per second. The interface allows the ATM to dispense any type of currency and in any language, as long as it has been properly calibrated. All Lamassu products are well-made and are intended for high security in mind. A six-millimeter Hardox steel is the usual vault component, while all parts are machined and put together by a skilled team in Northern Portugal. Lamassu ATMs are the wave of the future, and it would be interesting to see what this company will produce in the future to contribute to the speedy integration of Bitcoin into various industries.